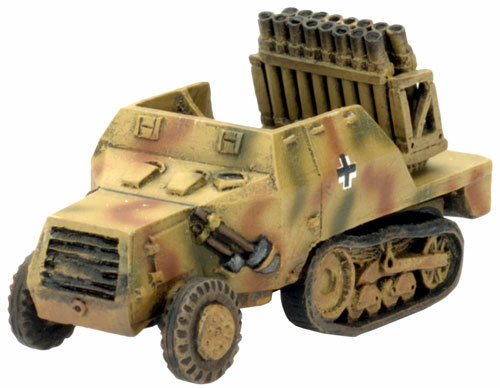 Baustab Becker (Major Becker’s engineering workshop) invented a unique infantry support weapon in its Reihenwerfer (rack mortar, pronounced rie-en-vairr-ferr), an array of 16 mortars. The mortars are all linked together and aimed at the same target. A simple arrangement holds the mortar bombs as they are loaded, then releases them together when they are fired. 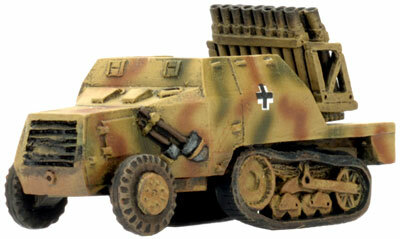 Even thought the Reihenwerfer is a racked bank of mortars it fires using the Rocket Launcher rules in Flames Of War. 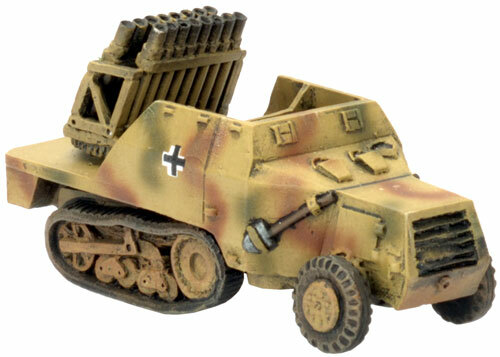 However, the S307(f) Reihenwerfer half-tracks do not create smoke trails and do not suffer from the Fire in the Sky rule. 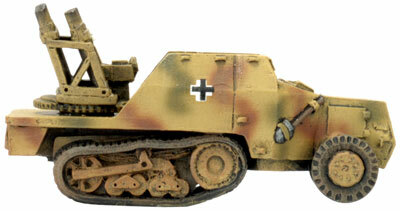 S307(f) Reihenwerfer is half-tracked mobility with Front armour 1, Side 0 and Top 0. 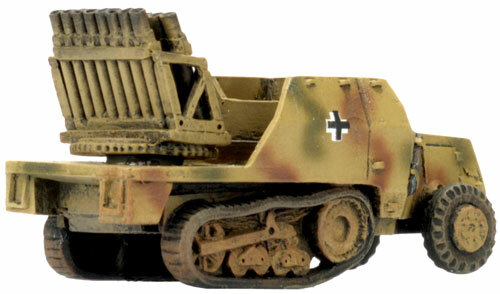 It is additionally armed with an AAMG. It is Unreliable so be careful about driving in Rough terrain or moving At the Double. 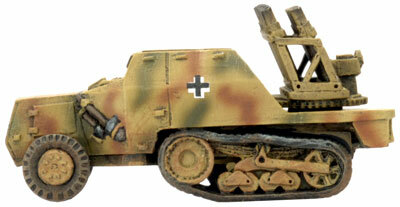 Firing bombardments it has Range 40”/100cm, Anti-tank 2 and Firepower 6. 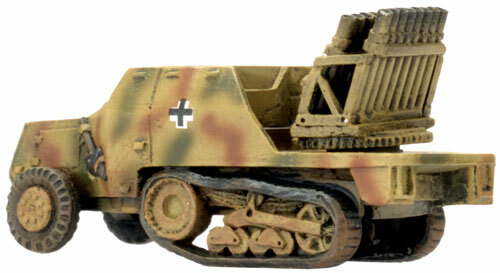 To field the platoon you need foru S307(f) Reihenwerfer, two Observer Rifle teams, 2 Kubelwagens and a U304(f) half-track.